Nigerian senator-elect dodging U.S. drug charges? LAGOS, Nigeria -- A man newly elected to Nigeria's Senate was on Monday refusing to attend a court hearing on his extradition to the United States on 20-year-old drug charges related to the TV hit "Orange is the New Black." Senator-elect Buruji Kashamu, 56, has declared his innocence. Kashamu's spokesman said he would only appear at the Federal High Court when an arrest warrant is produced. Chicago prosecutors charge he was the kingpin of a heroin trafficking ring there in the 1990s. Kashamu has said the prosecutors really want the dead brother whom he closely resembles. Outside the court, his supporters protested with handwritten placards declaring: "Leave Kashamu alone!" and "No to political victimization." The drug agency did not immediately respond to a reporter's questions about a warrant. After years of inaction, the United States has requested his extradition, according to Nigeria's drug agency. A U.S. State Department official told The Associated Press that the department does not comment on law enforcement matters. Senators-elect like Kashamu are to be sworn into the new legislature on Friday. Drug agents surrounded Kashamu's home on Saturday. The drug agency says he is under house arrest. Kashamu's spokesman says it's an illegal siege because they have no arrest warrant. "About six fully armed, hooded and menacing-looking operatives of the National Drug Law Enforcement Agency are right inside his bedroom with his wife, children and other members of his immediate family!" 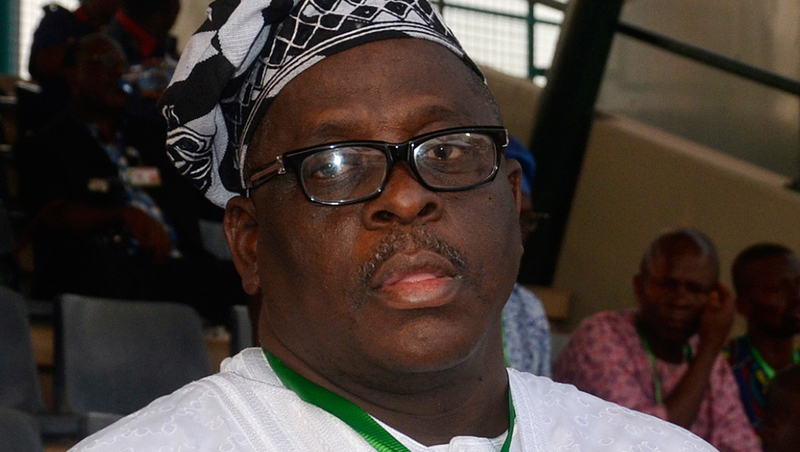 Kashamu's spokesman, Austin Oniyokor, told AP in an email Sunday night. Kashamu is the victim of a political conspiracy, he said. A Chicago grand jury in 1998 indicted Kashamu for conspiracy to import and distribute heroin in the U.S.
A previous request to extradite him from Britain failed in 2003. Kashamu spent five years in a British jail before he was freed over uncertainty about his identity. He was carrying $230,000 when he was arrested there. A dozen people long ago pleaded guilty in the case, including Piper Kerman, whose memoir was adapted for the Netflix hit "Orange is the New Black."